After the much anticipated release Apple have refreshed there iMac and iPad lineup, alongside many performance tweaks to other lineups. 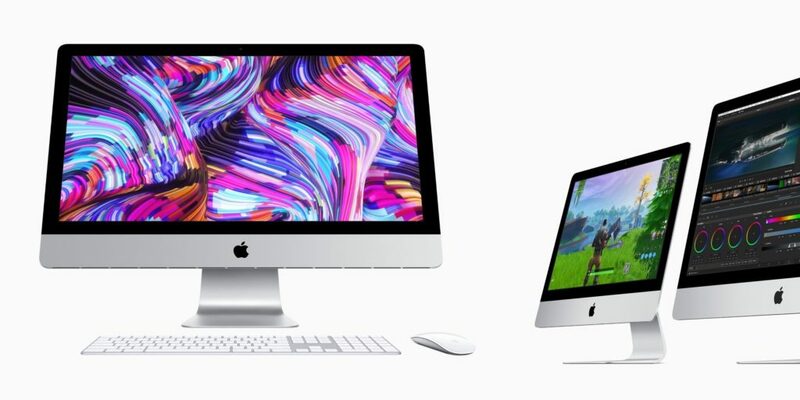 Apple has just dropped new iMacs on the Apple Store: the same design with new internals. The 21.5-inch iMac features 8th-generation Intel CPUs in quad-core and six-core SKUs. The 27-inch iMac houses 9th-generation Intel CPUs, with i5 and i9 configurations. Apple says these new processors deliver up to 2x the performance of the previous generation iMac. This is Apple’s first Mac to feature the 9th generation Intel CPUs. In terms of the Graphics, Apple now offers Radeon Pro Vega graphics upgrades on both 21.5-inch and 27-inch form factors. The new iMacs are available today in the Apple Store, starting at £1299 and £1799 for the 21.5- and 27-inch models respectively. Sadly Apple have not adopted SSD or Flash Storage on the iMacs that still feature the conventional Fusion Drive, because of this we also don’t get the T2 processing ship, taking over Siri, Power and many more commands. Apple has also lowered the price for SSD and RAM upgrades across the Mac Mini, MacBook Pro, MacBook Air and Mac Pro lineups. Making larger storage much more affordable with up to £400 off. On the Mac Pro Apple has dropped the price of 64GB of Ram by £400 – a significant price change. However, Apple are expected to launch a new modular Mac Pro later this year. 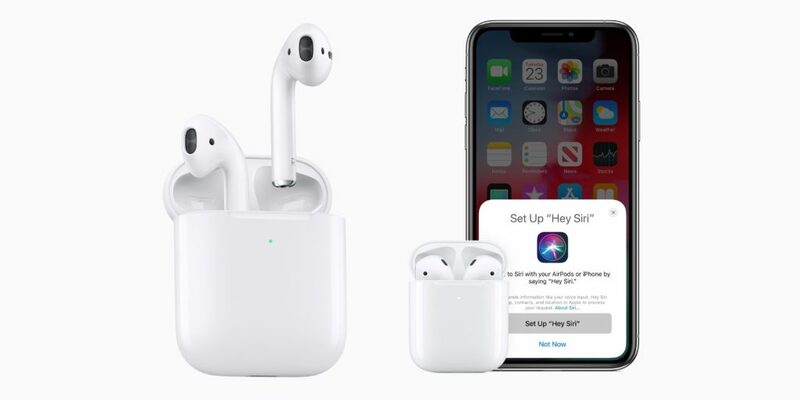 Apple has also released the much anticipated second version of AirPods. Featuring a wireless charging case, Hey Siri and an H1 Chip delivering up to 200% better battery life. 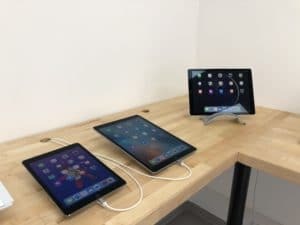 Apple have released large updates to the iPad Air and iPad mini lineups, the new Air features a 10.5″ display and both have the new A12 Bionic chip. Both of the iPads are compatible with the first generation Apple Pencil. Both devices feature a laminated TrueTone display with 2224×1668 resolution. They also have added a Smart Keyboard for the size of the iPad Air. Somewhat justifying the ‘Air’ title, the 10.5-inch iPad Air is substantially thinner and a tad lighter than the £329 iPad. It weighs 456 grams and is 6.1mm thin, compared to the entry-level iPad’s 469 grams and 7.5mm thickness. The new iPad mini is also offered in 64 GB and 256 GB configurations, in silver, space gray, and gold. Make sure you follow our Facebook Page, Instagramand Twitterto keep up to date on our latest offers and product ranges. Welcome to a March news update from M•Suite. We have been very quiet recently on our blog posts, however, we have been busy and have lots to update you on! In-store we have some fantastic, as new, Apple iPad Air 2’s with 32GB storage & WiFi connectivity. Stylish & smart in Space Grey they’re all immaculate complete with original box & charger. Backed by our 12 month warranty they run the latest iOS 12 with up to 10 hours wireless web. Featuring Touch ID & stunning Retina display at £249.00 they won’t hang around. We stock a range of Apple accessories along with a selection of refurbished & certified refurbished Apple Mac. We can also supply any of Apple’s current lineups new as well! In store ready for next day collection. In our health checks we run thorough softwares that scan every directory of the computer, these specialise in removing malware, trojans, cookies, keyboard monitors and they also reset internet browsing files. Health checks are a great way to make sure that your device is safe and secure. 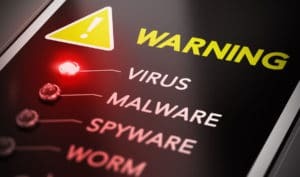 The majority of virus checkers such as Avast, McAfee and Bullguard don’t often catch these types of malware. A health check is a great way to get an older laptop running that little bit quicker again, also making sure you don’t have any hidden malware mentioned above. It’s also great for new laptops to maximise the performance. Offer expires 12th October. Click here to book in your repair today. Similarly, if you have a Mac that just isn’t running as fast as it used to we can help, drop into store and we can give you a free quote for upgrading your Mac. An SSD or Memory upgrade will almost certainly help give your Mac the performance boost it deserves. Alongside an SSD upgrade we clone the data free of charge. Come in store today or use our online booking form to get your Mac booked in. We also offer board level repairs, saving hundreds off the cost of a replacement from Apple. 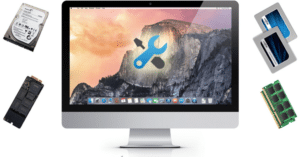 So if your Mac doesn’t turn on or has suffered liquid damage, we can help! Make sure you follow our Facebook Page, Instagram and Twitter to keep up to date on our latest offers and product ranges. 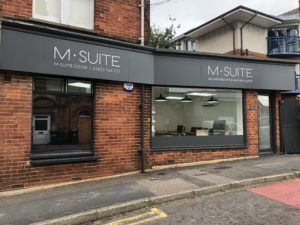 At M•Suite we’d like to wish all our customers a Merry Christmas and a Happy New Year! Thursday 3rd January: Normal hours resume. 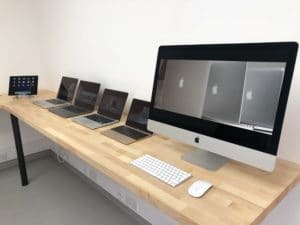 We’ve had a great 2018 and have supplied refurbished Apple Macs to plenty of happy customers. We’ve continued to grow and have opened our new retail premises, making repairs and upgrades easier than ever! Once again, we wish you a Merry Christmas and a Happy New Year! Are eGPUs the future of laptop graphics? 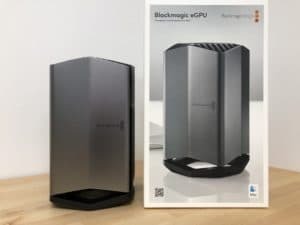 This week we got to take a look at the Blackmagic eGPU with a Radeon Pro 580 alongside a 2018 15″ MacBook Pro. The Blackmagic eGPU features an AMD Radeon Pro 580 graphics processor, 85W of power for charging your laptop and powering peripherals, docking support for 2 additional displays via HDMI and USB-C, and four additional USB 3 ports for devices such as keyboards, mice, and other peripherals! It’s compatible with any Mac that has a thunderbolt 3 port. On a MacBook Pro you can have the portability whilst on the go and have the desktop class graphics through one thunderbolt 3 lead. The results were a significant improvement. 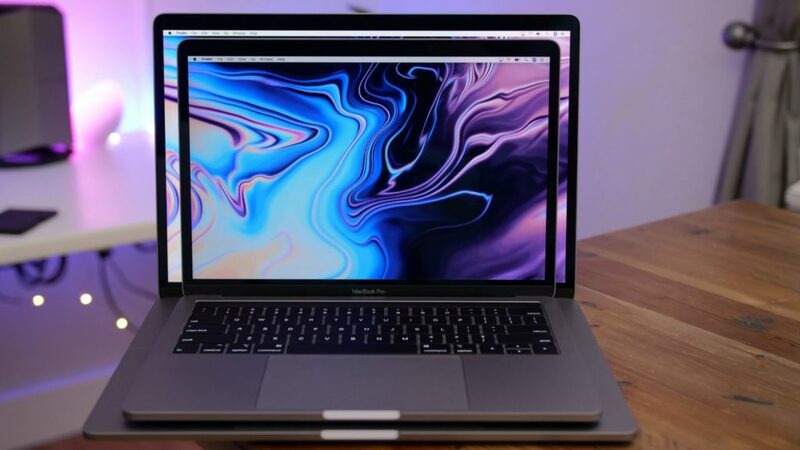 In GeekBench 4 a 2018 MacBook Pro with a 2.9 Core i9, 32GB DDR4 Memory and an AMD Radeon Pro 560X scored 61,892 whereas the same Mac with the eGPU connected scores an impressive 111,513, almost double the score. Applications such as Final Cut Pro X, Adobe Photoshop and Adobe Premiere Pro have significant performance increases with some exports being 13x faster. A huge time saver for creative professionals. Welcome to a November news update from M•Suite. Did you know Apple produce their own range of Certified Refurbished Macs? 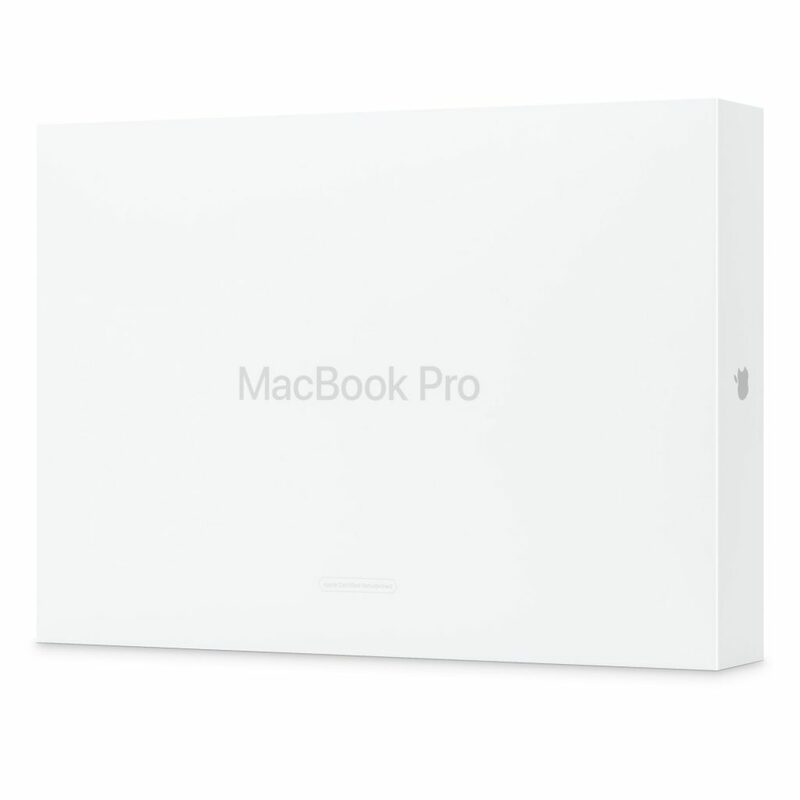 These give you the full Apple experience for a fraction of the cost, complete with a 12 month Apple warranty as standard. Each Mac undergoes a stringent refurbishment process before sale and once complete it is cleaned & repackaged including appropriate manuals, cables & new boxes. Should you wish, AppleCare can be purchased to provide up to 3 years warranty coverage. 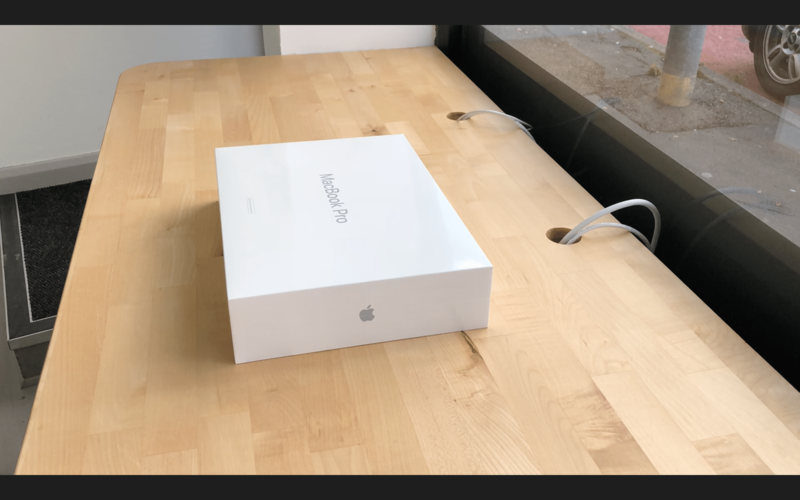 Below is our unboxing of an Apple Certified Refurbished 13″ 2017 MacBook Pro. In October Apple held one of their Special Events in Brooklyn, New York. A range of new iOS & Mac products were launched including the new iPad Pro in 11″ and 12.9″ sizes, along with a new Mac Mini & MacBook Air. 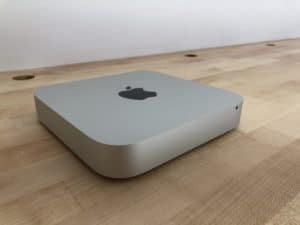 The Mac Mini having not been updated since Late 2014, has received positive reviews for once again supporting user-upgradable RAM configurable up to 64GB DDR4 alongside desktop-class 8th-Generation Intel Core processors with the model range maxing out with the 6-core Intel Core i7. With the inclusion of USB-C & ThunderBolt 3 Apple have allowed for eGPU functionality to facilitate an all round power house unit. 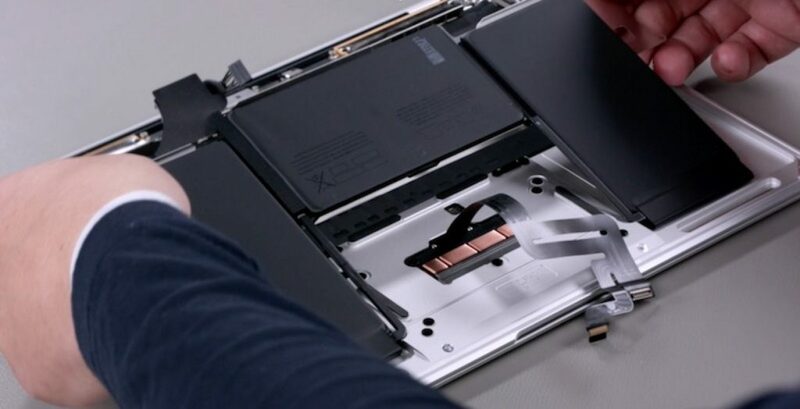 The MacBook Air received a long overdue Retina display along side migration to two USB-C/ThunderBolt 3 ports for connectivity whilst still maintaining an all-day battery life. Since launch it has been revealed that it also features a removable battery using adhesive strips, great for those who in future might want to revive a lacking battery life! Welcome to an October news update from M•Suite. Within the last decade there has been a significant rise in people who own an electronic device such as a smart phone, tablet or computer. Because of this there has been a significant rise in spam and cold calls this is due to that fact that it’s very cheap and easy to make a cold call. A very common message you might see is ‘Your computer is infected, call —-‘. A webpage cannot scan your computer for malware and therefore all these messages are fake when you call the number you can expect to have to install a remote monitoring software such as Team Viewer or VNC. 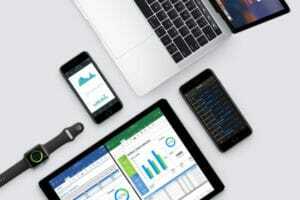 These software’s are very useful, they allow repair shops to remotely connect your device and fix it without the need for you to bring it in. 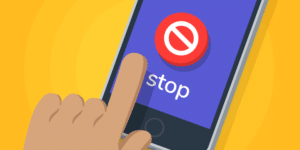 However, with the rise in cold callers using these software’s Internet Service Providers such as TalkTalk and Sky have started to block them. These web pages can look very legitimate, in a recent case the webpage looked near identical to the ‘Apple Help’ page, only if you looked at the URL of the site did you realise it was fake. Some of the websites download applications and files designed to be hidden but these files can monitor your browsing, typing and everything you do on your computer. Although you might think, well I only use my computer for email and shopping this also means your passwords, bank details and email accounts are all being shared with this company. However, on a positive note, you can get a half-price health check on ANY Mac or Windows PC for only £29.99. A health check is a great way to get an older laptop running that little bit quicker again, also making sure you don’t have any hidden malware mentioned above. It’s also great for new laptops to maximise the performance. Offer expires 12th October. Click here to book in your repair today. Welcome to a product update from M•Suite. 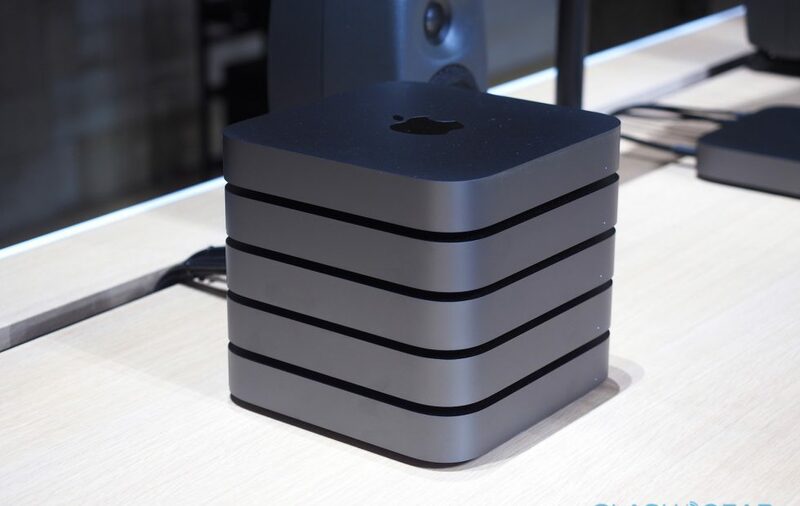 Apple Mac Mini Late 2012 – The last Mac Mini featuring a quad core processor. 1TB HDD – Upgrade to an SSD? Starting at just £649, with the option to upgrade. Why not add an SSD giving you significantly increased performance, whilst keeping the 1TB HDD for storage? 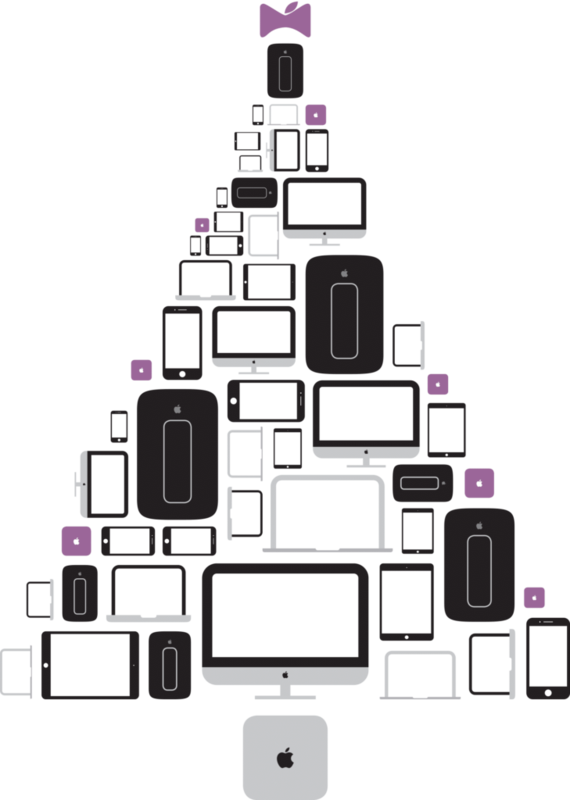 Our Macs are refurbished by Apple Certified Macintosh Technicians and come with 12 Month Warranty. If you have any particular queries or are unsure what Mac is for you, don’t hesitate to get in touch, at 01825 764 777. September 2018 – New Shop, Apples Keynote and More! Welcome to a big September news update from M•Suite. 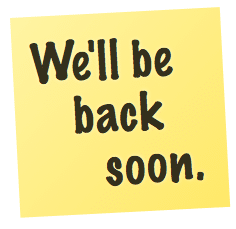 We have been very quiet recently on our blog posts, however, we have been very busy and have lots to update you on! 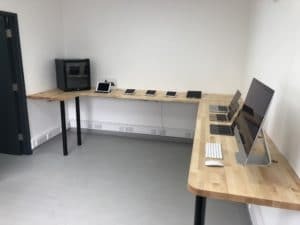 On July 9th we opened our new retail premises moving to 146B, we now have the ability to provide on the spot diagnostics giving you an idea of the issue with your mac. 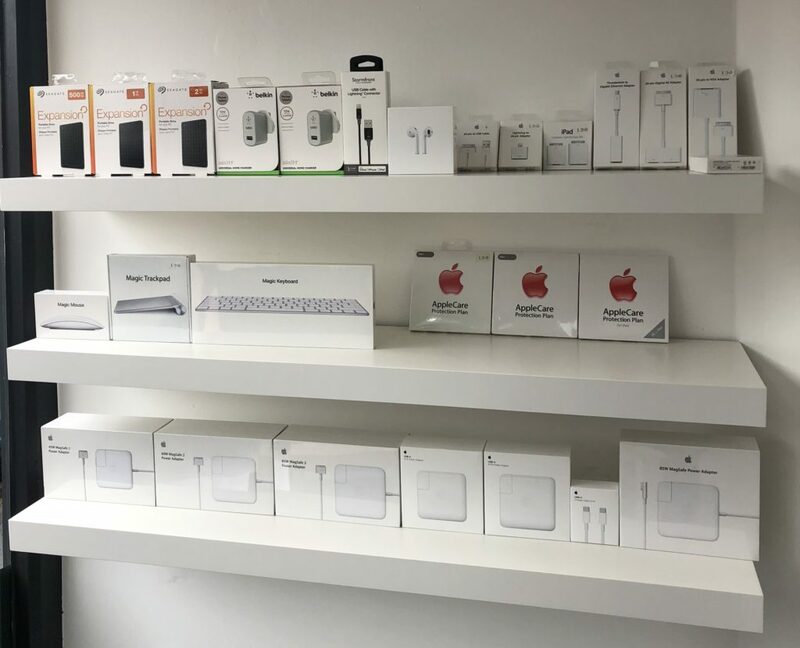 We also now sell various accessories for your Mac such as a Magic Mouse, Magic Keyboard, Magic Trackpad, MagSafe 1 & 2 Chargers (45W, 60W and 85W), as well as USB-C (61W and 87W). We also have a small range of adapters such as Thunderbolt 2 to Ethernet, USB-C to USB and USB-C to Lightning. If you require any other accessories please let us know and we can get them in stock next day. 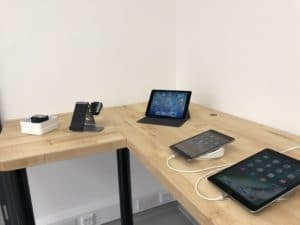 As well as this we also stock MFI Certified iPad/iPhone charging cables, this includes a Belkin 2.4A (12W) USB wall plug and an MFI (Made for iPhone/iPad/iPod) Certified 1M Lightning Cable. MFI accessories are produced by 3rd Party Manufactures, in accordance with Apple requirements. They’re then tested by Apple and approved for sale. They’re safe for use with all Apple iOS devices and have been thoroughly tested. This way, our customers will be getting high quality, brand new & genuine accessories for their Apple products. In Apple’s latest keynote they announced the release of the iPhone XS, XS Max and XR. All of these phones feature edge to edge displays, however, also featuring the controversial notch. They also feature a highly upgraded A12 Bionic processor, this has a 15% performance increase and a 50% lower power usage from the previous A11 Bionic processor found in the iPhone X, 8 and 8 Plus. 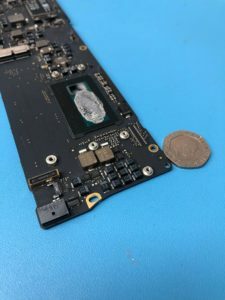 It also features an upgraded graphics chip that is 50% faster also featuring a 4 core GPU – a serious performance increase graphically, not compromising the battery. Shown below is the latest press release photos of the devices showing the iPhone XS, iPhone XS Max and iPhone XR. Coming alongside the announcement of the new phone lineups Apple has released a major software update bringing macOS Mojave, iOS 12, watchOS 5 and tvOS 5 to their devices. iOS 12 brings huge performance increases to previous iPhone and iPad models, particularly the iPhone 6 and 7. However, it also adds various features that have been long awaited. macOS adds various apps from iOS: News, Stocks, Voice Memos, Home and HomeKit support. As well as adding ‘Dark Mode’, dark mode allows you to set all bars, windows and buttons as well as applications to the dark setting, this adds a very sleek look and is designed to be easier on the eyes. A highly requested feature is Group FaceTime calls, this feature will be arriving within the next year, it is an addition to Mojave and iOS 12. It will allow users to call unto 32 people, perfect for conference calls or a catch up with a group of friends. With the addition of our new shop enabling customers to have a much more hands-on experience with the products before purchasing, the shop also makes repairs significantly easier. With our more obvious high street presence finding the shop is very easy, making dropping off and collecting repairs very convenient. The price breakdown for our repairs can be found here. However, if you need something more specific, don’t hesitate to get in touch, get in contact at 01825 764 777. Please be aware that M•Suite will be closed from the 7th of March until the 22nd of March 2018 for staff holiday. All Orders placed during this time will be dispatched on the 23rd of March. For all urgent requirements, please email sales@m-suite.co.uk – Please be aware that a response may take up to 48 hours. Huge reductions on our immaculate Refurbished Apple iPad Pro 9.7-inch models! 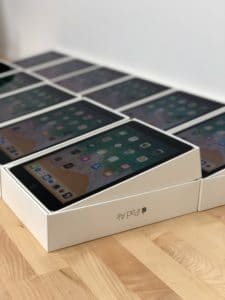 All our Refurbished Apple iPad Pro 9.7-inch models are in immaculate as new condition, fully tested & functional with more then 90% original battery capacity remaining. 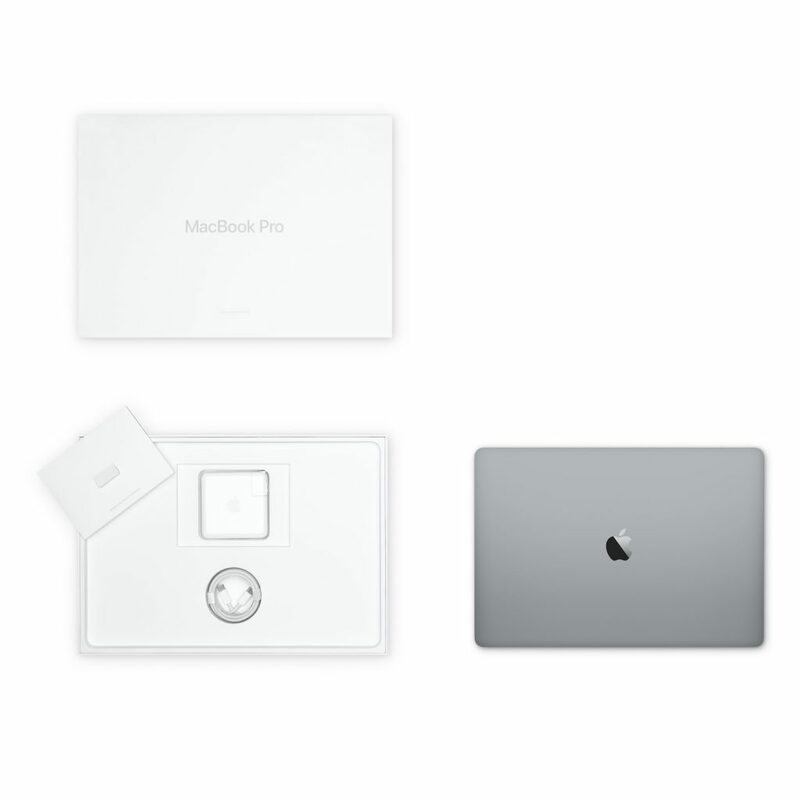 They all come with our refurbished industry leading 12 month return to base warranty for total piece of mind, along with brand new Belkin 2.4amp (12W) USB wall charger & MFI 1M Lightning cable. All our Cellular (4G) models are unlocked & ready for any network! We have over 50 units in stock, covering the entire range & in many colours, giving great choice and flexibility. 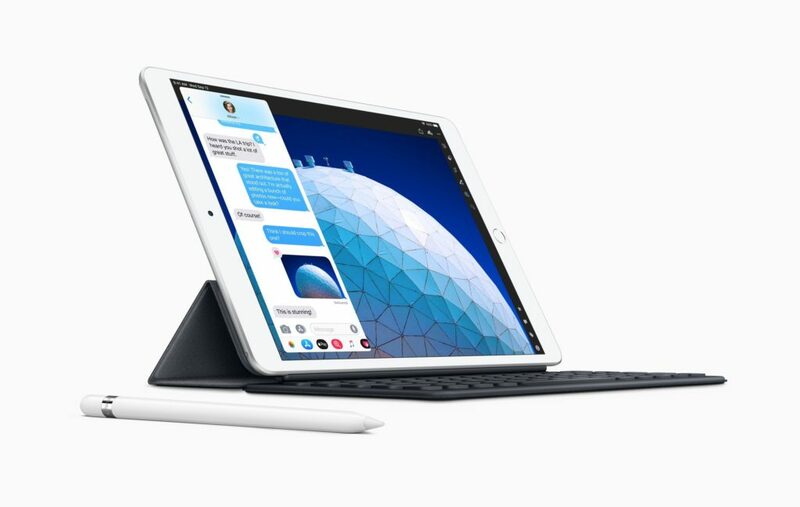 The Apple iPad Pro 9.7-inch packs all the Pro functionality found in the larger 12.9-inch format into a more compact & portable design. 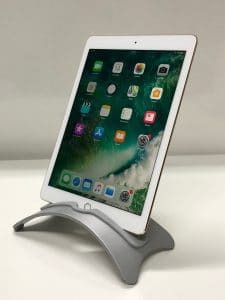 Boasting an Apple A9X processor (faster then both the iPad Air 2 and the current iPad (5th Generation) along with 2GB RAM this iPad is designed for performance. Weighing in at 0.43kg, less then the latest iPad (5th Generation) and with an ample 10 hour battery life it really is a fantastic all rounder. A 12 MP rear facing camera, Auto HDR, 4K recording at 30 fps and Slo-mo 1080p recording at 120 fps, along with a front facing 5 MP camera with Retina flash your photos will look fantastic in any environment. Supporting 4 speakers for high quality stereo sound and a Smart Connector allowing for connection to the Smart Keyboard which provides both power & data. By far the standout feature of the iPad Pro range is the ability to use the Apple Pencil, a precision stylus that is rechargeable through the Lightning port. With low latency to enable smooth & accurate input this stylus can sense both angle & pressure to give the most accurate response.